On January 23, 2019, the UK government announced that 23 coastal heritage sites all around the Great Britain will now be restored to help revitalize their communities. 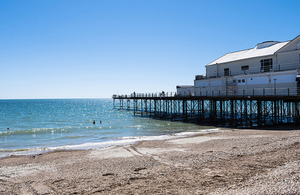 They revealed 23 projects that will receive a share of almost £1 million from the Coastal Revival Fund. The projects, from Blackpool to the Isle of Wight, have been awarded up to £50,000 each to help restore local community assets and landmarks to their former glory. The funded projects include Banksy’s Pinwheel in Weston-super-Mare, a community project in a derelict smugglers’ inn in Cornwall, and the preservation of Blackpool’s 3 historic piers. The Coastal Revival Fund provides grants to coastal heritage sites to fund repairs, restoration and bring economic growth to coastal communities. It also supports large scale projects which are important to local communities but have not yet reached their full economic potential or are facing neglect. “We’re determined to save these historic landmarks for the benefit and enjoyment of future generations while delivering on our promise to invest over a quarter of a billion pounds into the Great British Coast by 2020,” he added. A total of £50,000 from the Coastal Revival Fund has been awarded to North Somerset council to refurbish and provide a permanent home for Banksy’s Pinwheel in Weston-super-Mare’s Italian Gardens in the town centre. The exhibit, which was donated by the graffiti artist following the globally successful ‘Dismaland’ exhibition in 2015, is set to provide a focal point to link the seafront and the town centre. A total of £30,000 has been awarded to a feasibility project in Sandown on the Isle of Wight, which would revitalise the country’s first Henry Cotton-designed 1930s public golf course and further work at a former ice-cream factory which has been repurposed as a hub for environmental science. A total of £50,000 has been awarded to a project to revive, enhance and celebrate the Rows – a medieval street pattern made up of 150 narrow alleyways confined within the town wall of Great Yarmouth. A total of £42,500 has been awarded to a restoration project for the exterior of the Georgian Grade I Lytham Hall, an ‘at-risk’ building on the Fylde coast. The project is set to create a sustainable heritage attraction of regional significance vested in community ownership; and to release the potential to play a major part in the life and economy of Lytham and the Fylde coast. A total of £40,000 will see the production of a Conservation Management Plan for the ‘at risk’ Saltburn Valleys to gain a better understanding of the heritage significance of the site and to identify management policies and actions that will ensure the sustainable future for this historical landscape. Saltburn is a key Victorian tourist town in the heart of Redcar and Cleveland. On the Yorkshire coast and with the North York Moors National Park on the doorstep, Saltburn is the jewel in the tourism crown for the Redcar and Cleveland Borough. A total of £50,000 has been awarded for a long-term project to fully rebuild the derelict Old Ship Inn, in Cornwall which was completely destroyed by fire in 2013. The Grade II pub which was once a key central point in the Cornish smuggling trade, and is said to have been visited by Admiral Lord Nelson, is one of the oldest buildings in Cawsand village and an iconic location at the heart of the community. The project will create permanent, local jobs; provide low-cost rented housing; and create a major new community space. This funding builds on the 25 coastal projects awarded a share of nearly £1 million through the Coastal Revival Fund in November 2018 including Withernsea Pier Towers and the iconic Rock Gardens of Ramsgate. The renovations to these much-loved venues, and the jobs and opportunity they create, are part of the wider government work to rebalance the economy and help all areas of the country thrive. Through the Coastal Communities Fund over £180 million has been invested across the UK in the last 5 years, protecting or creating over 18,000 UK jobs and £363 million in new visitor spend. Analysis has shown that the money is well spent, with every £1 invested having the potential to create an up to £8 boost to our coastal economies. The Coastal Revival Fund was introduced in 2015-16 to help coastal areas bring at risk heritage and community assets back into economic use. Each project was able to bid for up to £50,000 of funding to help identify a new role for iconic buildings and structures in need of restoration. The 2018 winning projects were announced here in REVITALIZATION. 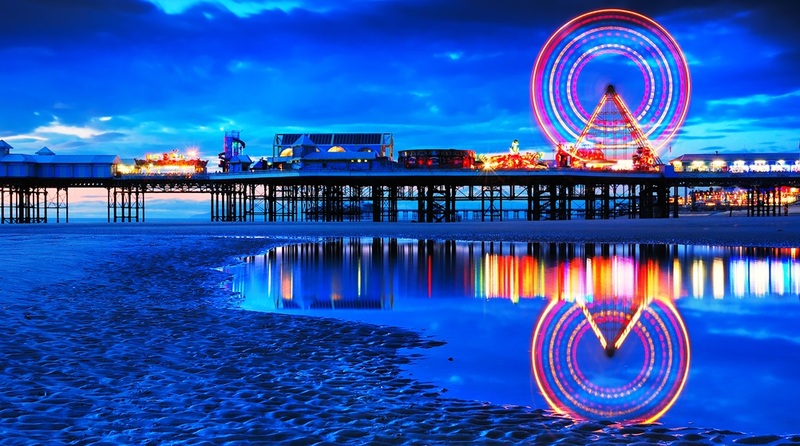 Photo of a pier in Blackpool via Adobe Stock. Download details of all 23 coastal projects (PDF).